We love the record number of tourists coming to our beautiful homeland, and one of the most important things for our customers is that their sfatey is ensured on tours. Following fears from tour guides, we at All Iceland would like to remind travellers to be safe when exploring areas of geograpical interested. Simply put: if it's not on a path that's open and safe to go down, don't venture out there. During winter a lot of roads are inaccesisible and the same can be said of pathways, including this one at Gulfoss. These paths are closed off because of ice, so please do not walk along as it will be very unsafe. Getting "that perfect view" is not worth risking your personal safety or the safety of others travelling with you. 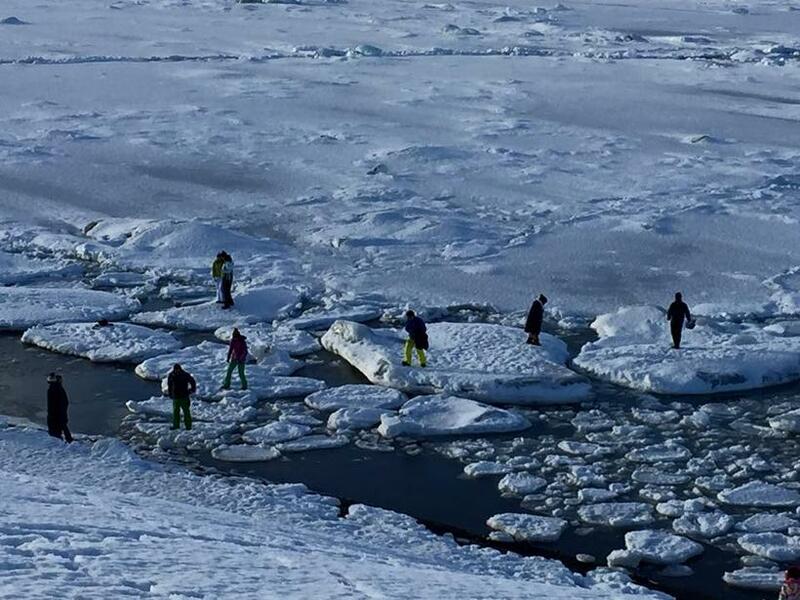 Travellers have also been warned not to hop over icebergs at Jokulsarlon lagoon- there are plenty of guided tours you can book which involve venturing on ice with experts who know where is safe to travel. Please share this with any of your friends travelling in Iceland during winter. We know you want to explore our beautiful country but please always think ahead- if it's safe to venture out, your guide will let you know!
. These paths are closed off because of ice, so please do not walk along as it will be very unsafe. Getting "that perfect view" is not worth risking your personal safety or the safety of others travelling with you.